We’ve heard a few names for the plastic thing people wear to protect their teeth during physical activities or sleep. If you or your children are involved in contact sports, or if you ever feel jaw pain especially after sleep, we’ll clear up the differences between night guards and mouth guards for you. And we’ll help you decide which one you need. An occlusal splint is commonly called a dental guard, night guard or bite guard. It is used to protect your teeth while you sleep. 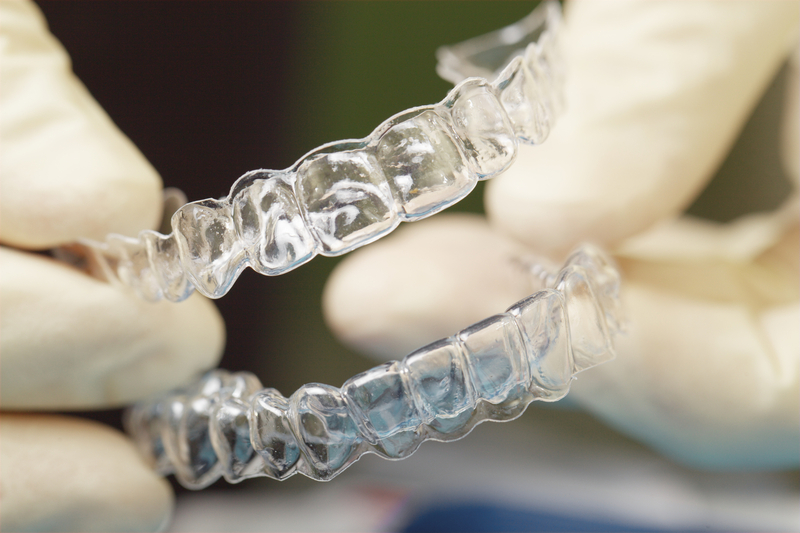 Most dentists recommend night guards to patients who grind their teeth, which is often as a result of stress or anxiety. When someone habitually grinds his or her teeth, it is called bruxism, a very common condition that affects 10% of people and as many as 15% of children. Grinding your teeth can ruin enamel, increase tooth sensitivity and chip your teeth. Too much grinding and clenching of the jaw can result in a condition of the jaw called TMJ, which can sometimes require surgery. Do you or your children ever wake up with jaw pain or think you might be grinding your teeth? Schedule a consultation with your dentist to discuss getting a custom-fit night guard. In just one visit, we can evaluate your grinding habits and take an impression of your smile. Some of our offices can even make your night guard in their own lab! In about 1-2 weeks, you’ll have your night guard and be sleeping easier. 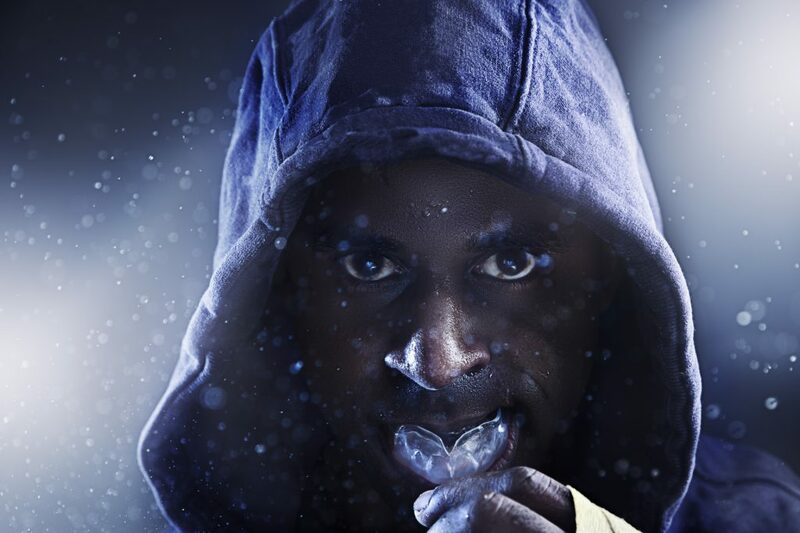 Custom mouth guards are recommended over store-bought, and do more than just protect your teeth. 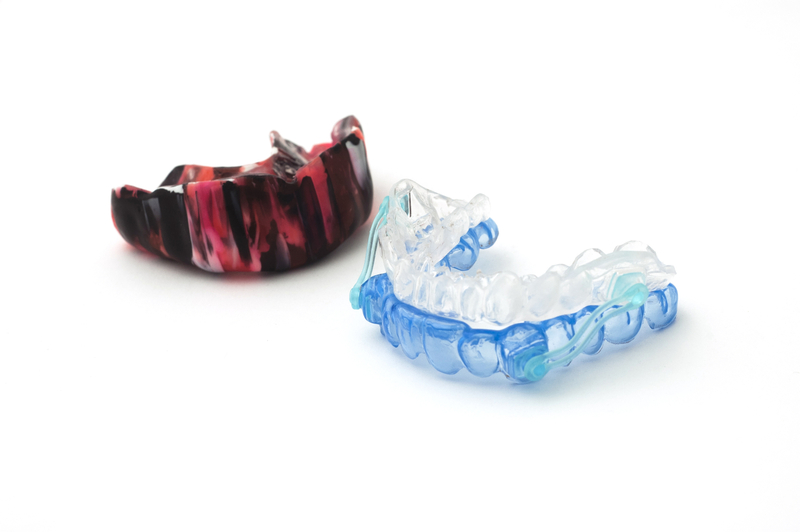 According to one study, “high school football players wearing store-bought mouth guards were more than twice as likely to suffer mild traumatic brain injuries than those wearing properly fitted, custom mouth guards.” Ask your dentist to make a dental impression for you, which will be sent off to a lab that produces mouth guards or made in one of our office’s labs.